This is a resource to assist you as you get ready to sit for the Praxis® II English Language Arts: Content Knowledge (5038) exam. Read on to learn more about the exam, including how to register, what to expect on test day, the types of knowledge that will be assessed and more. 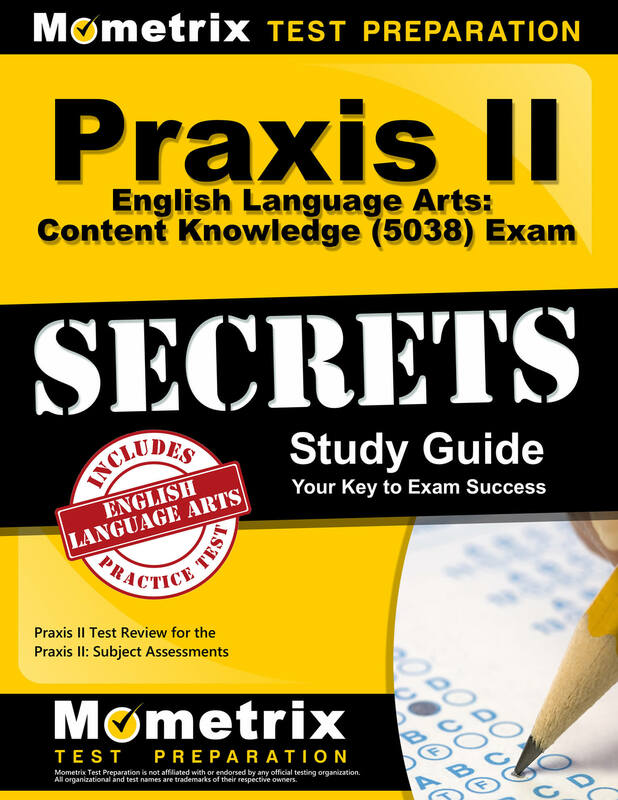 The Praxis II English Language Arts: Content Knowledge (5038) exam is designed to measure your readiness and command of information needed to meet the generally agreed-upon standards of a secondary school English Language Arts teacher. The exam is affiliated with the Common Core State Standards (CCSS) for English Language Arts. Each individual state or agency determines the prerequisites required to sit for the exam. You can learn more by visiting www.ets.org/praxis/states. You can register online at https://www.ets.org/praxis/register. The cost for taking the exam is $120 and is due when you register. You can pay via with a debit card, a credit care, or by using PayPalTM. Since testing locations and schedules vary by locality and the institutions offering the exam, you’ll be able to learn more about your testing time and location when you complete your online registration. Test Duration: The English Language Arts: Content Knowledge exam is scheduled for two and a half hours. In general, avoid bringing any personal items with you. While some test locations may have a locker to store items while you’re taking the exam, this is not guaranteed. 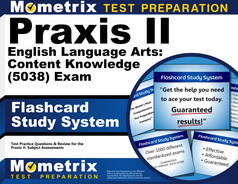 Format/Number of Questions: You’ll take the Praxis II English Language Arts: Content Knowledge (5038) exam on a computer. The test consists of 130 selected-response questions. In addition, the exam will feature a range of multiple-selection, order and matching questions, audio stimulus items, tables and video-based questions. There are three primary content categories on the English Language Arts: Content Knowledge (5038) exam. Here’s an overview of those areas, along with the relative weight each category will have as part of the overall exam. Category 1: Reading (About 38%) — Covers literature works and authors, major work contexts, primary literary genres, major literary characteristics, text interpretations, themes, text meanings and elements, figurative language effects, poetic devices, reading strategies, research and instruction and other literary theories. Also includes a review of textual evidence and interpretation, organizational patterns, word choice effects, rhetorical strategies, specific audience strategies, written argument support, and media interpretation. Category 2: Language Use and Vocabulary (About 25%) — Assesses knowledge on standard English grammar, syntax, mechanics and usage, context word meaning, digital and print reference usage, diction and dialect variations by region, vocabulary development and language acquisition. Category 3: Writing, Speaking and Listening (About 37%) — Includes a variety of assessed topics, including characteristics of writing modes, effective writing techniques, attributes of effective writing, research ethics, effective presentation and speech, instruction approaches, teaching approaches, communication method assessment, effective oral communication and interpretation perspectives. Calculating Your Passing Score: The passing score for the exam varies by association, institution and state. These entities set their own passing score thresholds. To learn more, please visit www.ets.org/praxis/states. You have other resources to help you prepare for the Praxis II English Language Arts Content Knowledge (5038) exam from the Mometrix Academy. For a fee, you can access the information-packed Praxis Study Guide, including videos and exam preparation details. Plus, you’ll have access to a set of flashcards to help you practice your knowledge and retention and prepare for Praxis exam success. Mometrix Academy is a completely free resource provided by Mometrix Test Preparation. 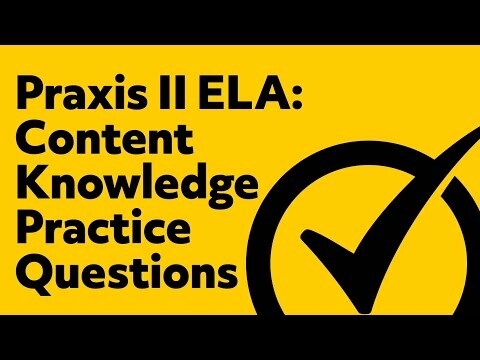 If you find benefit from our efforts here, check out our premium quality Praxis II English Language Arts: Content Knowledge study guide to take your studying to the next level. Just click the Praxis II English Language Arts: Content Knowledge study guide link below. Your purchase also helps us make even more great, free content for test-takers.